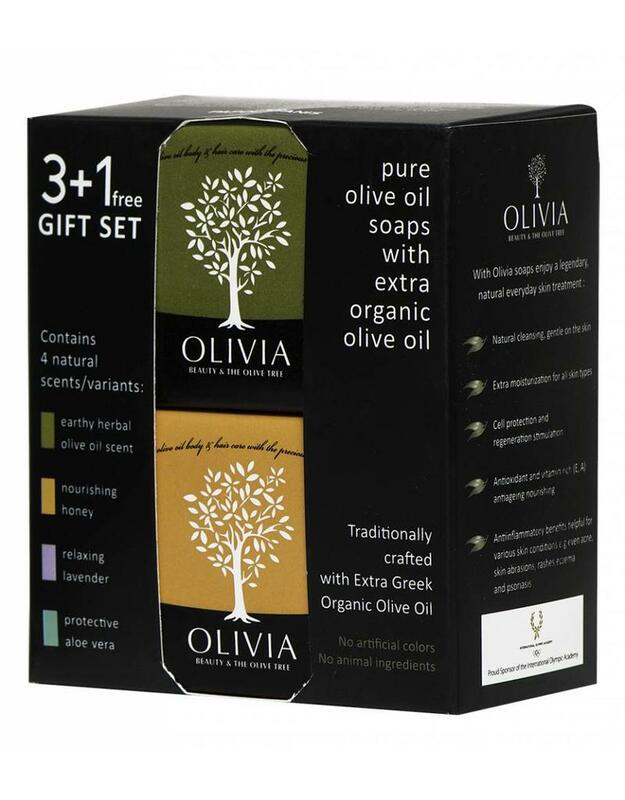 Discover the 4 Olivia Classic natural soaps. With the purchase of this gift set, you receive one soap for free. 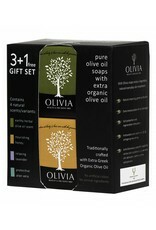 Contains Olivia Natural Soap: Olive & Lavender, Olive Oil & Honey, Olive Oil & Aloë Vera and Extra Olive Oil.